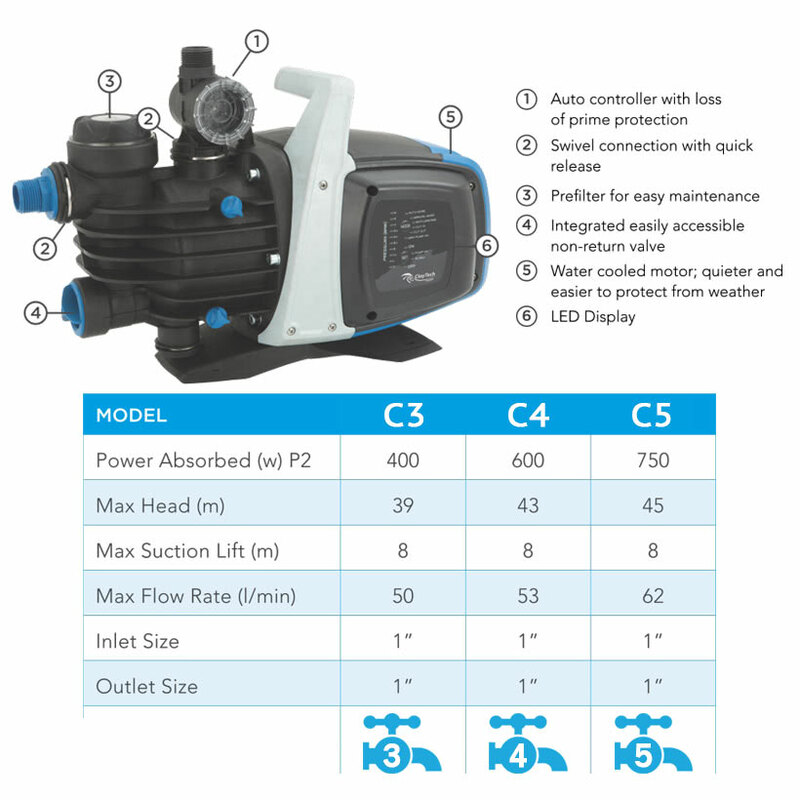 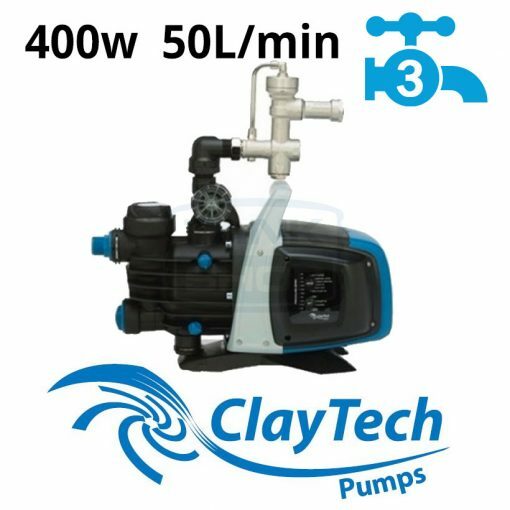 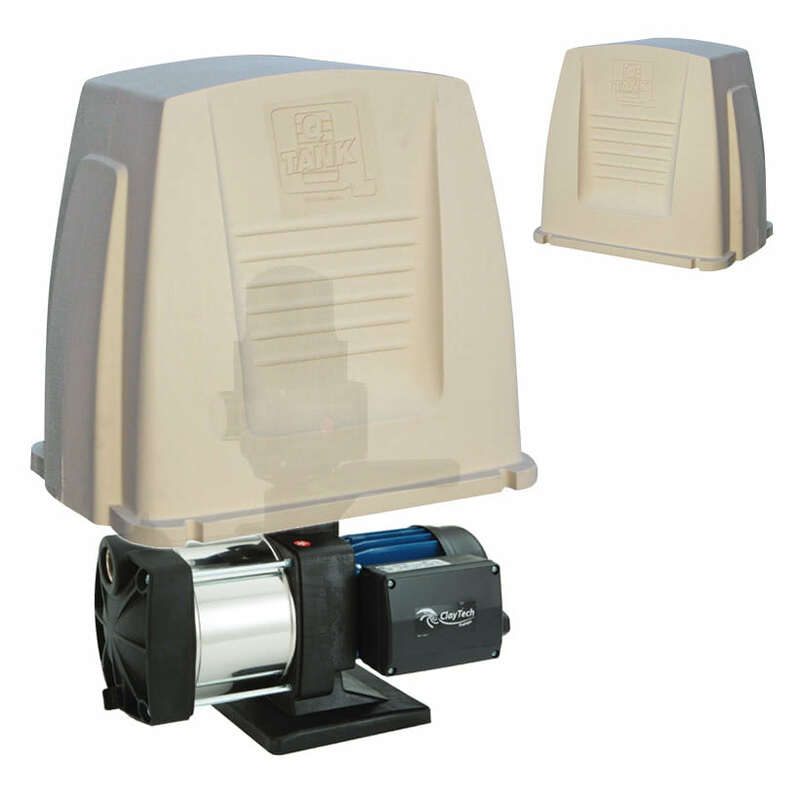 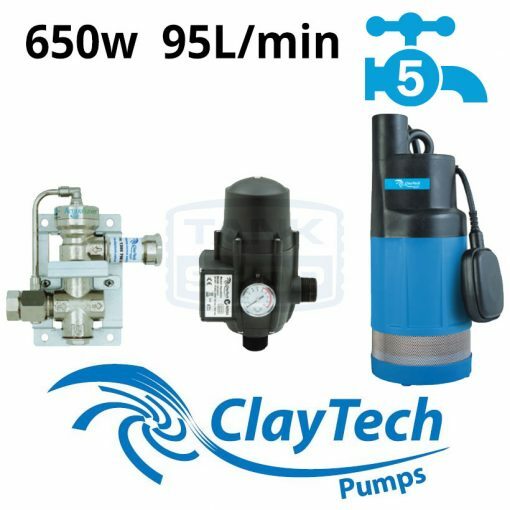 ClayTech C Series water pumps are premium pumps with many design features other pumps don’t have and are available in three models based upon number of outlets required: C3 (3 taps), C4 (4 taps) and C5 (5 taps). a friendly LED display to view the pressure and operation mode of the pump. 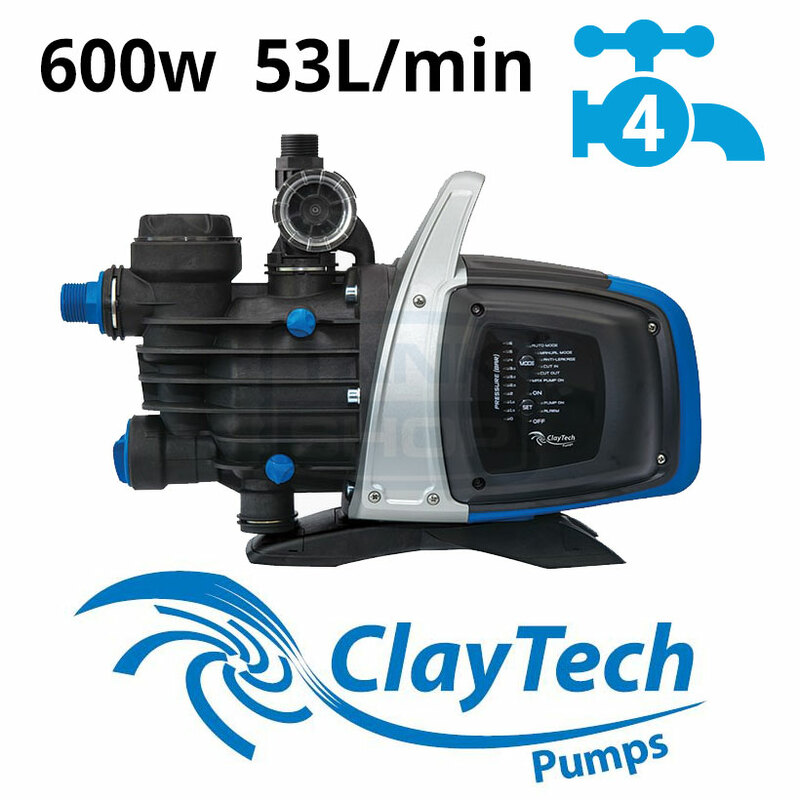 an integrated pre-filter making the pump easy to clean without tools. 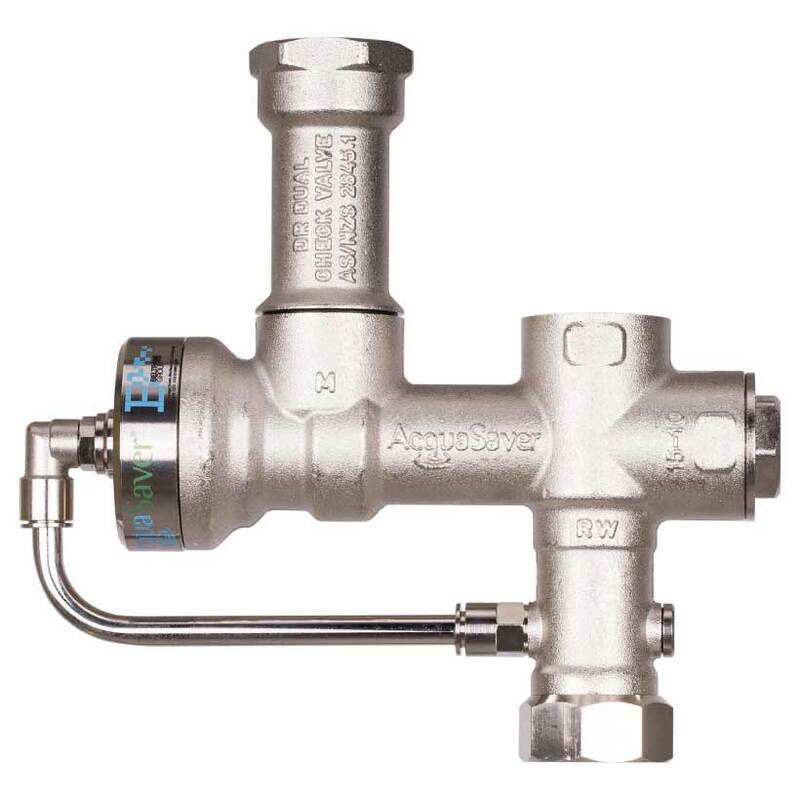 a non-return valve built into the pump body allowing for easy service without removing pipework. 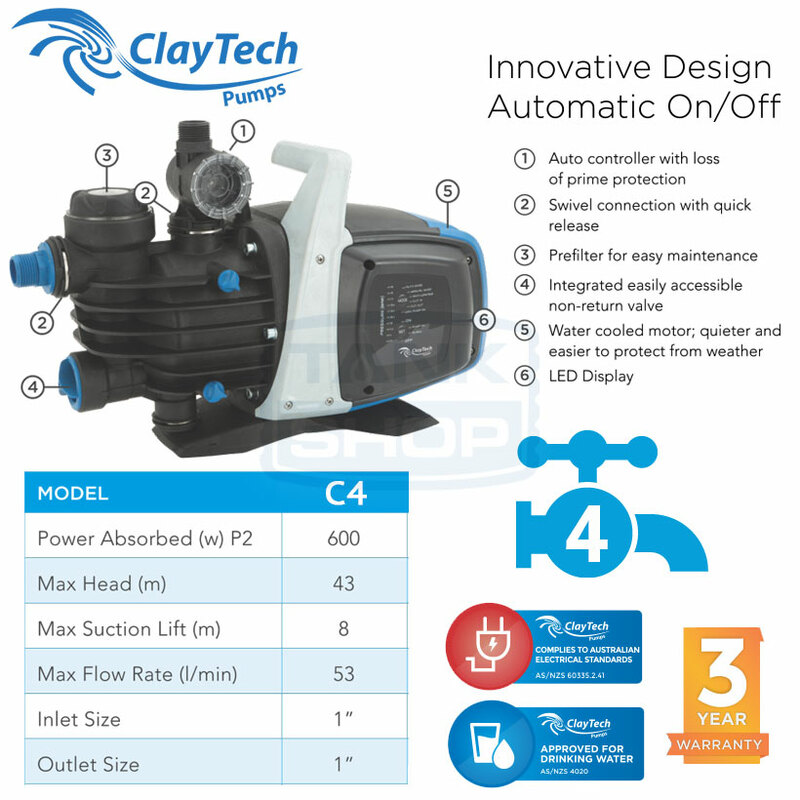 a unique swivel connector system that allows an auto on/off controller to easily attach to the top of the pump.